Food is a basic need for the survival of human life. A major issue currently prevalent in the world is the presence of genetically modified foods. These are specially designed foods whose genetic material is altered in an effort of increasing the quality of the product and the productivity levels. There are major pros and cons associated with the proliferation of the foods around the world (Carman, 16). The question of whether the benefits overshadow the challenges are predominant. The essence of this research is to evaluate the two sides and bring to light the challenges as a prevalent fact that has been overlooked. Genetically modified organisms (or GMOs) are the resulting organisms that have been manipulated artificially in the laboratories though genetic engineering (Jayaraman and Jia, 12). The aim is to produce more food at a short time frame and increase the longevity of the foods in the shelves in an effort of feeding the human race. The genetic modification process involves creating a combination of animals, plants, bacteria and even the viral genes which otherwise would not occur through traditional breeding methods. The safety, ethical concerns and potential risks associated with the foods becomes a global concern which lays the basis for this paper in evaluating the negative effects of GMOs to people. Historically, the study of genes from a scientific perspective begun as early as the 1860s. During this time, an Australian monk Gregory Mendel used the systematic crossing of garden peas. The concept of gene was introduced as a hereditary unit. Eight years later, the efforts were emphasized by the discovery of DNA by Friedrich Meischer, who was a German chemist (Carman, 20). However, there were opposition for the discovery as proteins were thought by scientist to be the basis for genetics. The crisis was resolved in 1944 when Oswald Avery clarified the primary carrier of molecular information as the DNA with the findings being clarified in 1952. Gene splicing was later introduced in 1972 and the sequences were transferable into bacteria and other cells such as those of yeast. 1973 had a remarkable change in the field of DNA after a graduate student from the university of Stanford medical school provided the notion of man-made DNA known as rDNA (Aris and Leblanc, 15). In 1975, a group of intellectuals ranging from biologists, lawyers and doctors held a conference known as the Asilomar conference to formulate guidelines for the safe use of genetically engineered DNA. In 1980, the first GMO patent was issued and two years later the first genetically engineered bacteria hit the market and was approved by the FDA. The technology of gene splicing entered the food industry in 1990 after the approval of a GMO rennet by the FDA. According to statement by the FDA published in 1992, genetically engineered foods are not inherently dangerous and as such they do not require special regulation. The process of genetically engineered foods accept was drastically being accepted with France approving tobacco as the first European union genetically engineered crop in 1994. A convention was held in Montréal Canada, on biological diversity. During this time, 130 countries with representatives in the convention approved the biosafety protocol where GMOs were to be labelled in the market (Aris and Leblanc, 17). The need for the labelling was to reduce the existing difference between farmers of natural foods and those producing genetically modified products. Major agricultural states have adopted GMOs with soybeans, being the highly contaminated food ingredients. As of 2008, a report released by the USDA indicated that approximately 92% of the crop planted in the United States contained GMO varieties. The case is also proliferating for corn with ranges of 86% to 95% in states such as Nebraska and South Dakota respectively. Some other crops that are prone to contamination are papaya, sugar beets, canola, Alfalfa, cotton and Zucchini (Aris and Leblanc, 20). Other parts of the world are not left behind as the need to cover the increasing food demand has made farmers adopt a more reliable, cheap and convenient means of production. The prevalent challenges to the full implementation of the crops are eminent due to ethical, social, political and security reasons on the adoption of the plant. There are two groups of genetically modified organisms. First, there are those products that are in commercial production. These products are termed as high-risk as they have a high degree of becoming GMOs. Since the products are in commercial production, the ingredients that are derived from them are subject to testing each time prior to being used. The testing is carried out in non-GMO project verified products (Jayaraman and Jia, 27). Some of the ingredients that are derived from this class of GMO products are ascorbic, citric and amino acids, ethanol, natural and artificial flavorings, vitamin C, sodium ascorbate, sodium citrate, sucrose, vitamins and yeast products among others. The second group of GMO products are monitored crops which are defined as crops with known or suspected contamination (Domingo, 22). Such crops have a cross pollination with genetically modified relatives in the commercial production sector. Testing is done regularly in an effort of assessing risk and the crops are moved to the high-risk category if contamination is inherent. Some crops that lie in this category are rice, flax, and wheat among others. From the two areas, it is evident that money is the underlining factor that makes the goods to change from one category to the other. High demand leads to commercial production and the need to meet the demand encourages the use of GMOs (Bakshi, 12). Evaluating the two groups emphasizes on the need for the ethical value that is associated with the production of crops. The impact of GMOs is evident in the society both at positive and negative realms alike. Agricultural practices that increased the emission of greenhouse gases have reduced. With the introduction of GM foods, additional carbon storage in the soil is achieved due to reduced tillage. In addition, the use of pesticide spraying has reduced since the crops are resistant to diseases and hence a reduced environmental impact that was initially associated with insect sides and herbicides. Countries that have a high population such as china have the ability to cater for the food demand of their nation internally (Jeniifer, 16). The effort is achieved through the high production levels of GMs and thus economic stability is achieved at a reduced cost. Resource poor and developing countries are able to raise their standards of living through adopting GMOs. The average levels of benefits are high in developing countries mainly due to technology gains. The benefits accrued by families cannot be sidelined as poor families have the ability of catering for their families and achieving food sustainability. However, the cons in this area are more compared to the benefits. Children require nutrients for proper growth and development and GMs do not offer this and thus a danger in building organs and tissues in kids. Allergies are another challenge posed by GMs to kids due to the presence of toxins, and allergens in the products. With ingredients of soy and corn being dominated by GMs, children are exposed to a high risk of consuming GMs compared to adults (Bakshi, 25). GMOs make foods readily available due to their ability to resist diseases, harsh weather climates such as extreme cold and heat and less need for pesticides and herbicides. One challenge arises here, should the need for sustainability be achieved at the expense of children health? GMOs can be seen as impacting negatively on the natural order of things in the universe. The essence of universalism is to encourage biological diversity. However, the cross breeding and the genetic modification of plants and animals negatively affects this diversification since the combination of the genes brings a halt to the biological diversification. The independence that food crops enjoy prior to cross breeding is eliminated once their DNA is altered (Domingo, 7). As such GMOs negatively impacts on the sovereignty of food crops as far as patents are concerned. In the case of patenting, the food crops cannot enjoy sovereignty on the basis that their genes are distributed across multiple platforms (Lammerts Van Bueren et al., 5). The farming of GMOs is relatively different from the traditional process. Other than advocating for tilling the land, the process advocates for the use of herbicides and pesticide control due to the rigidity and ability of the crop to be resistant. Therefore, the natural order of carrying out agricultural process is altered with the claim being held high for the use of technology as opposed to using traditional methods. The final product is readily available and of high quality. However, the production span and the quality of the product should not be emphasized at the expense of other shortcomings associated with the product. For example, the products are high in toxins, carcinogens, allergens and have nutritional deficiencies. It is worth noting that the aim of producing food is not only to sustain hunger, but also for nutritional value (Bakshi, 22). It is the nutritional value of foods that keeps diseases away and ensures a healthy life. Nutrients in food are of paramount importance as they strengthen the body prior, during and before infections. 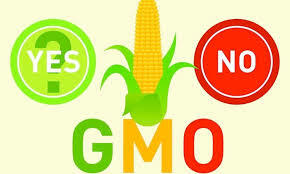 The GMO technology keeps on changing as opposed to the traditional methods of cultivation and farming. Thus, farmers are required to keep tabs of the changes being incorporated which is not only cumbersome, but also poses a challenge to keep up with the evolving technology. Consumers are also not aware of the change introduced especially in different food ingredients. The need to be informed of the changes in the field as it pertains to which ingredients have changed is arguably a challenge to consumers. Modern lifestyle is characterized by rapid changes and therefore, people are not keen of keeping track of what they consume. The impact of the foods is thus transmitted over the food chain. The cost of purchasing GMO seeds is expensive and unlike traditional crops, they have to be purchased every season. The effect is suicide for small scale farmers who do not have the potential to acquire this technology. For this reason, GMOs should be discouraged in favor of natural production and farming methods (Jayaraman and Jia, 15). The approach should be done as a premise of protecting the local produce who is dedicated to providing affordable a nutritious products. Gene diversification should be encouraged but not genetically engineered in the lab. A more favorable approach such as natural cross-breeding should be adopted. Doing so will guarantee the provision of quality and nutritious products. Since the production of GMOs encourages the use of herbicides and pesticides, traditional means of tilling and weeding should be encouraged to ensure soil aeration and prolonged sustainability (Domingo, 7). GMOs are patented and thus the producers have an upper hand in the industry compared to traditional farmers. A way to reverse this is through revoking patents and privileges to the producers thus discouraging their production. The revocation process also guarantees a fair competition in the production of farm products. Once the remedies are enforced in favor of natural cultivation and agricultural practices, more nutritious, affordable and health compliant products will dominate the market. There are potential merits of GMOs especially in solving global hunger through increasing yields and reducing dependence of traditional forms of cultivation. Environmental protection and preservation is also an equivalence of the advantages that the production process offers. However, the challenges are also predominant in the regulation, safety testing, food labelling and compliance with international policies and standards (Lammerts Van Bueren et al., 13). To some, genetic engineering is the future and a technology that provides irrefutable benefits should not be discarded. However, the opinion of this research is that despite the advantages posed by a technology, the side effects should not be overlooked. Caution has to be exercised to avoid falling into a death trap that impacts human health at the expense of quality food production. Aris, Aziz, and Samuel Leblanc. 'Maternal And Fetal Exposure To Pesticides Associated To Genetically Modified Foods In Eastern Townships Of Quebec, Canada'. Reproductive Toxicology31.4 (2011): 528-533. Web. Bakshi, Anita. "Potential Adverse Health Effects of Genetically Modified Crops ." Journal of Toxicology and Environmental Health (2003): 211–225. Carman, J. Is GM Food Safe to Eat? (2011). In: Hindmarsh R, Lawrence G, editors. Recoding Nature Critical Perspectives on Genetic Engineering. Sydney: UNSW Press, 82-93. Domingo, José L. 'Toxicity Studies Of Genetically Modified Plants: A Review Of The Published Literature'. Critical Reviews in Food Science and Nutrition 47.8 (2007): 721-733. Web. Jayaraman K, and Jia H. (2013). GM phobia spreads in South Asia. Nature Biotechnology 30: 1017–1019. Jennifer, C. (2007).Illegal GMO releases and corporate responsibility: Questioning the effectiveness of voluntary measures. Ecological economics. 66 (2–3), 348–358. Lammerts Van Bueren, E.T. et al. 'Organic Agriculture Requires Process Rather Than Product Evaluation Of Novel Breeding Techniques'. NJAS - Wageningen Journal of Life Sciences 54.4 (2007): 401-412. Web. 18 June 2015. Jayaraman, Killugudi, and Hepeng Jia. 'GM Phobia Spreads In South Asia'. Nat Biotechnol 30.11 (2012): 1017-1019. Web. Genetically modified crop is having the bad effects on your life. You can get your work done from this zone and the http://www.personalstatementcounter.com/ Can provide you with a better service. You have to do the study of the genes from this package which has a special deal. Good post. I personally like to write on different and interesting topics but somehow i got stuck in writing and forget all kind of this idea. This is indeed a useful links so write your own essay. I would like to thank you for the perfect blog! Here We are introducing the best way to write personal statements in effective manners. Just visit this website and enjoy your visit here. I have Question is related to the Genetically, then, is how to boost chances of getting hematology oncology fellowship to Modify the crops to the peoples who are interested in the Negative Effects. The blog was absolutely fantastic and i got lot of great information anout writing which can be helpful in some or the other way. Also here you shared very good information about effects of the invention of genetically modified crops to the people. Please check our PhD statement writing services here http://www.statementofpurposephd.com/help-with-statement-of-purpose-biomedical-engineering-phd/. Keep updating the blog, looking forward for more.